In less than thirty days, I received two phone calls from people who’ve let me know that they’ve lost a portion of their Medi-Cal benefits (California’s version of Medicaid). This could have been avoided if they spoken to their attorney or Medi-Cal specialist before making changes to their insurance plan. Let me preface this article by stating that I’m not an attorney and I don’t give legal or medical advice. But, California is a “share of cost” state, which in means that the state could help you with your Long Term Care costs no matter what your income is. As long as you pay your percentage of the cost of care based on a formula, you can get help. This is known as “share of cost”. In the state of California, when the client is close to qualifying for the state to cover 100% of long term care costs, but not quite, it often means that their monthly expenses are a little less than what would qualify them for this benefit. If the client spends a little to obtain better medical coverage, that coverage can help the client qualify for public assistance towards nursing home care or non-medical home care costs (i.e. Long Term Care Costs). This actually creates an additional expense of $378 per month, but in actuality, it could DECREASE the client’s monthly expense because the nursing home expense of $2700 might be fully covered. Many people have opted for a plan like this, and the state of California allows for it. Everything works fine until the client decides to save the $279 per month and drops the Medicare Supplement Plan in favor of either a less expensive plan or a Medicare Advantage Plan with a zero premium. When the state of California learns that the $279 monthly expense has been eliminated, the amount that the client paid toward medical expenses also decreased. This can decrease the amount that Medi-Cal will pay, and increase the share of cost that the Medi-cal beneficiary must pay toward Long Term Care costs. That means that you could actually INCREASE your costs by the $2700 for the home care that Medi-Cal will no longer pay for. And… once you’ve dropped the Medicare Supplement Plan, you might not be able to get it back. Medicare Supplement Plans have underwriting requirements, so if you have a medical condition, the insurance company can refuse to cover you. As you can see from the above figures, the Medicare Supplement Plan (Medigap) is the largest additional expense in this example. Without this, it is unlikely that we will be able to increase the monthly expense back to the level needed to qualify for a zero share of cost with Medi-Cal. 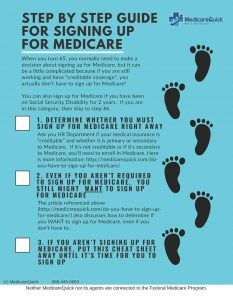 Also, because there are laws and internal vendor regulations against selling a Medicare Supplement Plan to someone who is already on Medi-Cal, it can be difficult to obtain a Medicare Supplement Plan AFTER someone has started receiving Medi-Cal benefits. This issue can also occur if someone is paying a high premium for a drug plan, and they opt into a lower priced drug plan without consulting their attorney. If you are trying to obtain benefits from the State of California and you are “close” but your income is a little too high to qualify without making changes to your expenses, assets, or income, retain an attorney to work with you throughout the entire process. Keep your attorney's information on file and don't make any changes to your insurance without talking to your attorney or Medi-Cal specialist FIRST. You don’t want to lose benefits because you didn't want to pay your specialist's or attorney’s yearly retainer fee. *Please do not use this article for legal or medical advice. Please consult your attorney if you have questions about obtaining or keeping your state benefits.